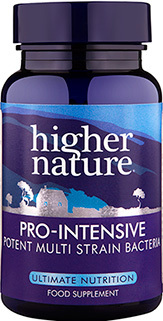 Our Colloidal silver contains pure, medical grade silver, which has been used for many centuries. It is produced using electro-controlled technology and pure water from a 9-stage water purification process, to achieve a very small particle size (0.0006 to 0.005 microns). This small particle size is important because it provides a much greater surface area and therefore more of an effective liquid. 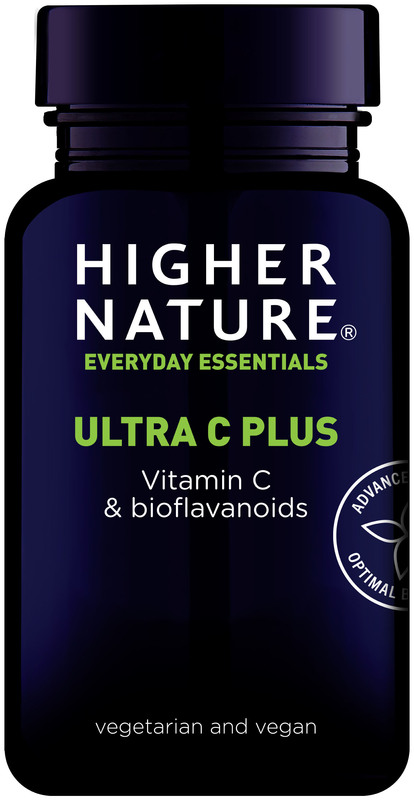 The 15ml refillable size is ideal for carrying in a bag or pocket. Use the 200ml non-spray-nozzle size to refill the 15ml and 100ml spray-nozzle sizes. This product has remained exactly the same for many years and continues to be colloidal silver of the highest purity and quality. 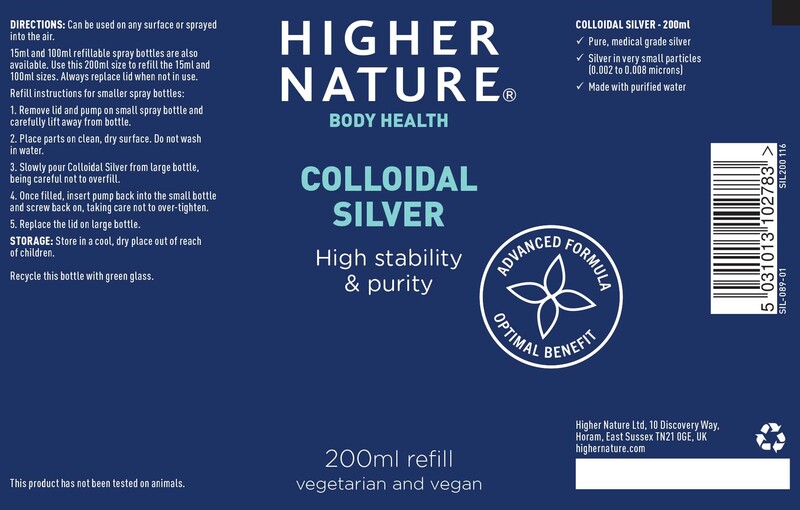 after trying different over the counter treatments for my 8 year old daughter's sore verucca on the sole of her foot, someone mentioned using silver so I ordered a small bottle of Colloidal Silver from Higher Nature. We sprayed it onto her verucca every night before bed - within 2 weeks it was gone. would recommend this to anyone to try on warts or veruccas. We call this magic spray in our house as we use it for so many things. Sore throats, eye infection, nail infection and warts.best was I was diagnosed with a skin keretoses for which I was given a very aggressive cream. A previous one I had had frozen off. Silver saw it off in 2 weeks. I have used this for eczema and other skin problems but the best was my dad who had a sore on top of his head where he had knocked it, which wouldn't heal. Went back and forth to hospital for months, they froze it, gave him creams, all sorts and then I decided to try the silver, cleared up in no time, really quite amazing! First started using it when a Doctor at our surgery told us to try it for sore throats. I cannot recommend this highly enough! My daughter and several friends have used this for acne after trying so many other products and 100% successful. Also used on my cat for an open sore, again success. After trying a few different remedies I used on a rash which appeared between my toes and spread under my big toe nail during the summer. It has cleared up well although does reappear now and then. My reflexology clients have had very good results with fungal nail infection from using this Silver..Also with sunburn, gingivitis, thrush (oral and elsewhere), cuts, grazes and sore throats.. It is a must for my 'Holistic First Aid Kit'..
My labrador suffers with weeping eczema (common in this breed) and vet has always prescribed antibiotics. I decided to try treating it myself on this occasion. I soaked cotton wool in the Silver Solution and dabbed on the affected patches 3 times daily. On the third day the condition had dried up. Silver has been used in many different forms for centuries. In fact, the term ‘born with a silver spoon in the mouth’ comes from the use of silver cutlery and utensils. Babies fed with silver spoons in the 18th century were believed to be healthier than those fed with utensils made with other materials. English nobility frequently ate with silver cutlery and drank from silver tankards, which seemed to help prolong life expectancy. 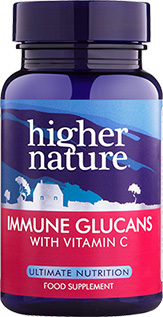 So, how can this mineral be responsible for improved health? Motion sickness is caused by a conflict between what your eyes and other senses tell your brain. Are we too clean for our own good? Hygiene has come a long way over the last century, but scientists seeking to understand the causes of the dramatic rise in allergic disease seen in industrialised populations over the same timespan have questioned if this was the cause.